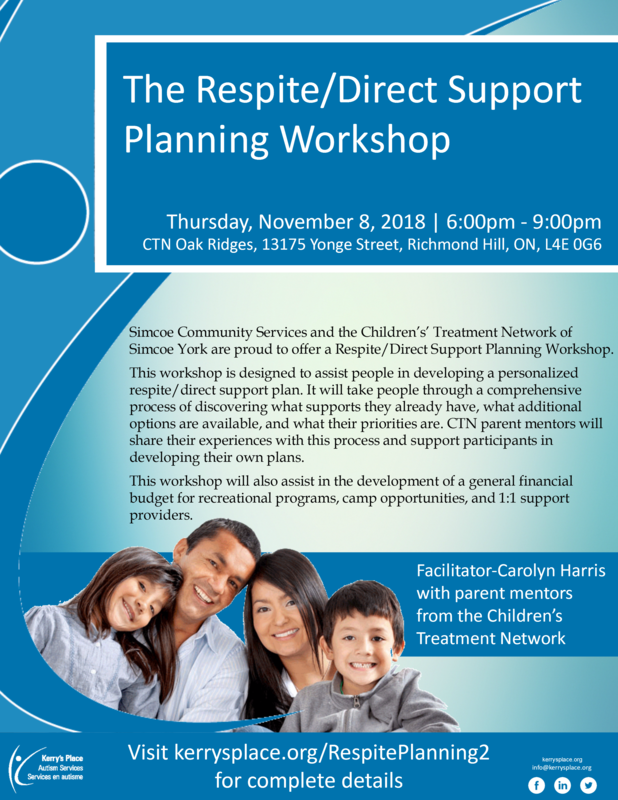 Simcoe Community Services and the Children’s’ Treatment Network of Simcoe York are proud to offer a Respite/Direct Support Planning Workshop. 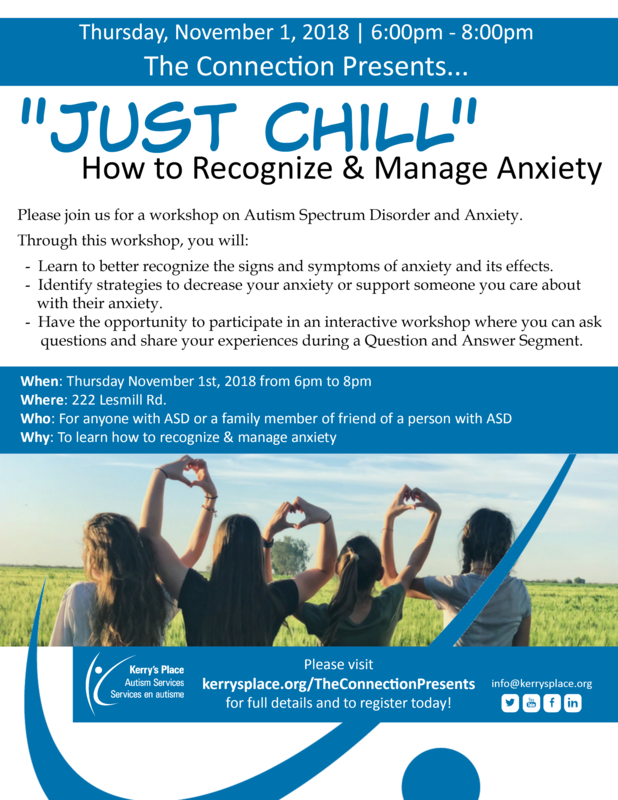 This workshop is designed to assist people in developing a personalized respite/direct support plan. It will take people through a comprehensive process of discovering what supports they already have, what additional options are available, and what their priorities are. CTN parent mentors will share their experiences with this process and support participants in developing their own plans. This workshop will also assist in the development of a general financial budget for recreational programs, camp opportunities, and 1:1 support providers. Facilitator-Carolyn Harris with parent mentors from the Children’s Treatment Network.